MANILA, Philippines (Mindanao Examiner / Apr. 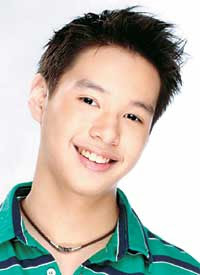 17, 2011) – A young Filipino actor was killed before dawn Sunday after his car crashed on a bus and a truck in Tarlac province as he headed home from a road show in Dagupan City, reports said. It said Antonello Joseph Perez, popularly known as AJ Perez, died from multiple head injuries after the accident that occurred at around 12.2o a.m. in the town of Paniqui. Perez was with his father, a driver and a bodyguard during the mishap. There were no immediate reports about the other occupants of the car. “He just finished a show in Dagupan, Pangasinan, which celebrated its annual Bangus Festival. His last tweet—which was posted four hours ago, or around 11:00 p.m.—read, "On the way home already from Dagupan.Long drive ahead.. Thanks to everybody who watched...,"the Philippine Entertainment Portal reported.